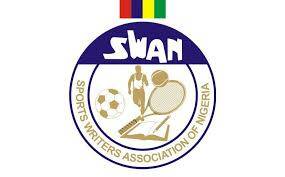 Fifteen media houses have signified their readiness to vie for honours in the fast approaching 2018 Lagos SWAN Cup. Chairman of Sports Committee, Lagos SWAN, Mr. Wale Joseph disclosed this on Wednesday in Lagos. Joseph assured that this year’s edition of the tournament promises to be an exciting one as all logistics have been put in place. According to him, “At the moment, fifteen teams have picked the forms and we are hoping that more media houses would turn up before today’s deadline as no delay will be tolerated. The listed teams are; Complete Sports, TVC, Unilag FM, The Nation Newspaper, Sports Compass, Top Radio, Pooja Media, Voice of Nigeria (VON), SMA FM, Sportsville, Goal.com, Rave TV, Community Watch, Hotsport Tv and The Sun newspaper. The SWAN Cup kicks off with a novelty match between SWAN Chesters and Lagos Women coaches this Friday at the Legacy Pitch, National Stadium, Surulere, Lagos.